Oh well, back to food. I am glad to report that I had an awesome lunch on sunday 😀 Mum went off to meet some Japanese collegue in taste paradise so I was left alone (sadness) in the food hall at ion orchard. Well, i’m not exactly complaining 😛 My lunch was reasonably cheap and excellent. 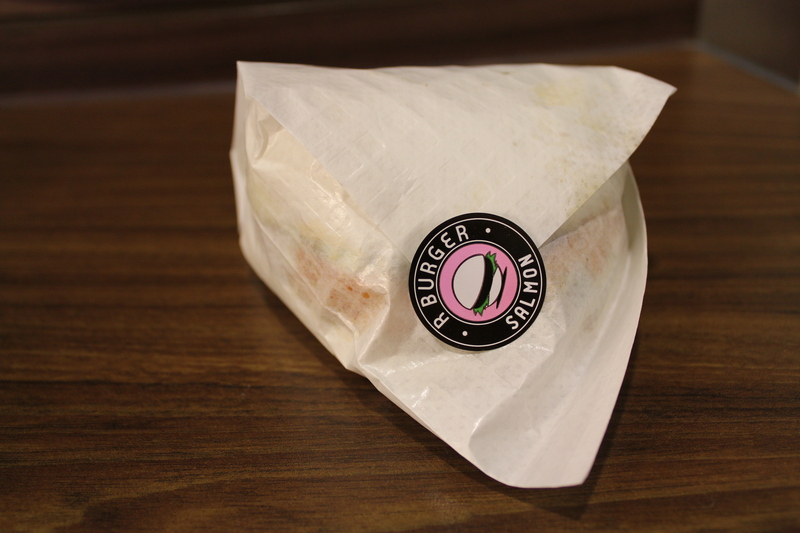 I read many unsatisfactory reviews about R burger, but I felt like I needed to give them a chance. Before I even reached there I was already thinking about choosing the salmon burger xD I mean, how wrong can the combination go? The bao was sweet and fluffy like how all baos should be. 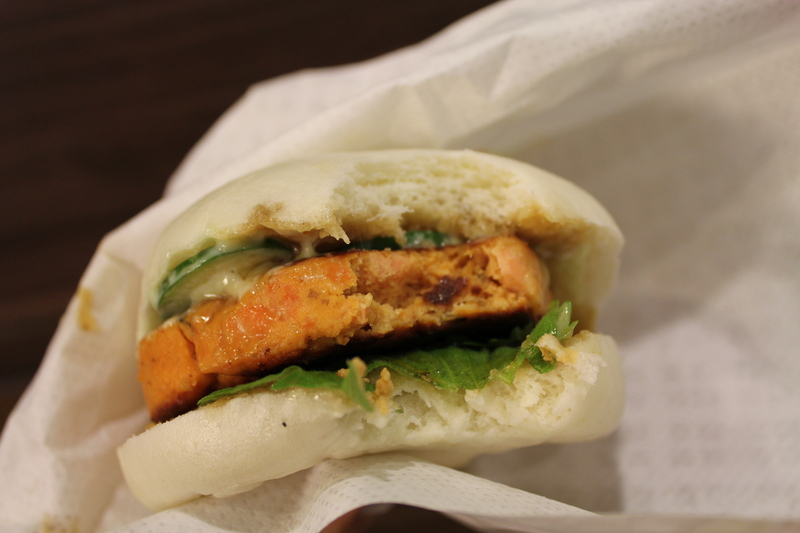 Inside was stuffed with cucumber marinated with mayo, a thick and well seasoned salmon patty and shiso leaves. 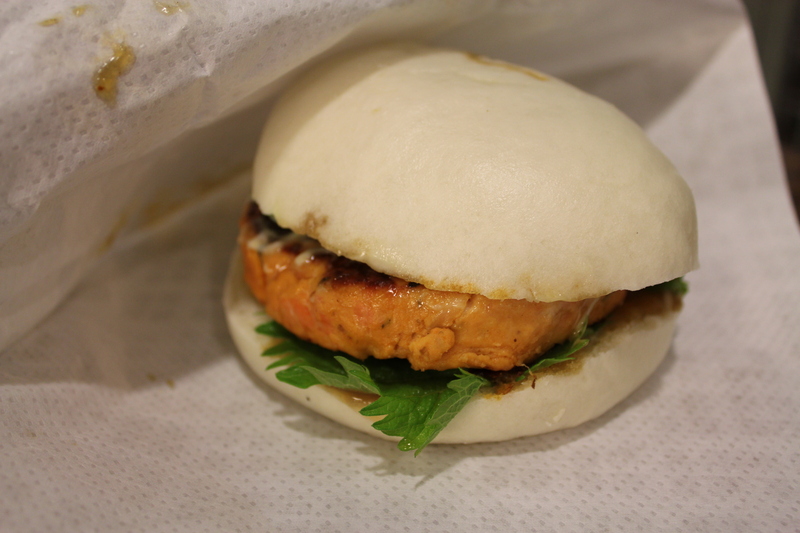 The insides of the bao was also drenched in some sauce ( I believe it was teriyaki sauce but it was much lighter, probably diluted) which made it a whole lot more tasty. The salmon patty was very moist and not tough at all. And yes, they use real salmon, I saw chunks of it ^^ The only fault I had was the shiso leaves. Don’t get me wrong, I love it’s exotic flavor but it’s very overpowering and I don’t exactly fancy the aftertaste. I much rather prefer butterhead lettuce leaves which are more refreshing and will not interfere with the taste of the main star of the show- the delicious salmon patty. Don’t you just want to take a bite out of my burger? 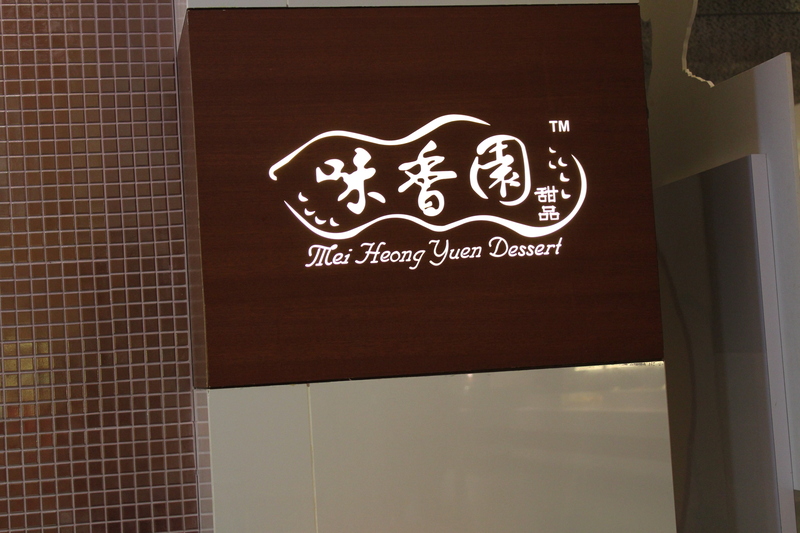 Mei Heong Yuen Dessert is a small indescript stall in the food hall. 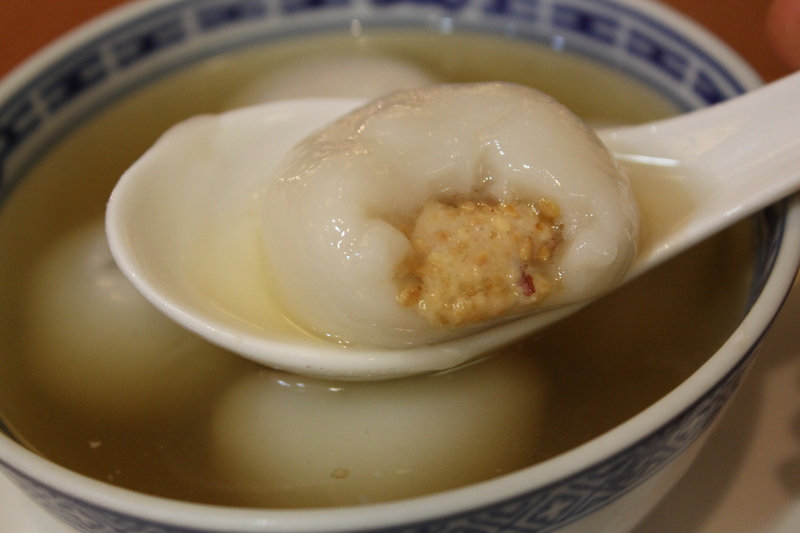 They serve a lot of traditional chinese desserts as well as some typical breakfast items like yam cake. 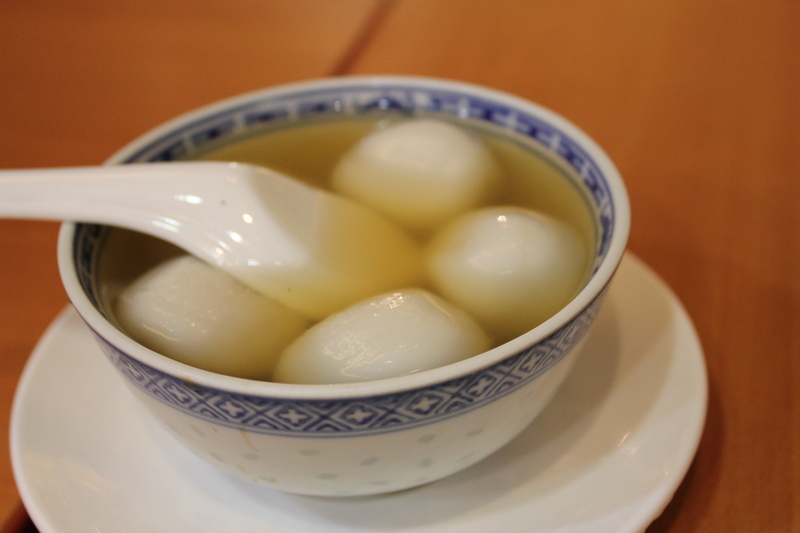 3 bucks for 5 huge tang yuan. The deal was too good. At this moment, I felt a little apprehensive. First bite: absolutely love. 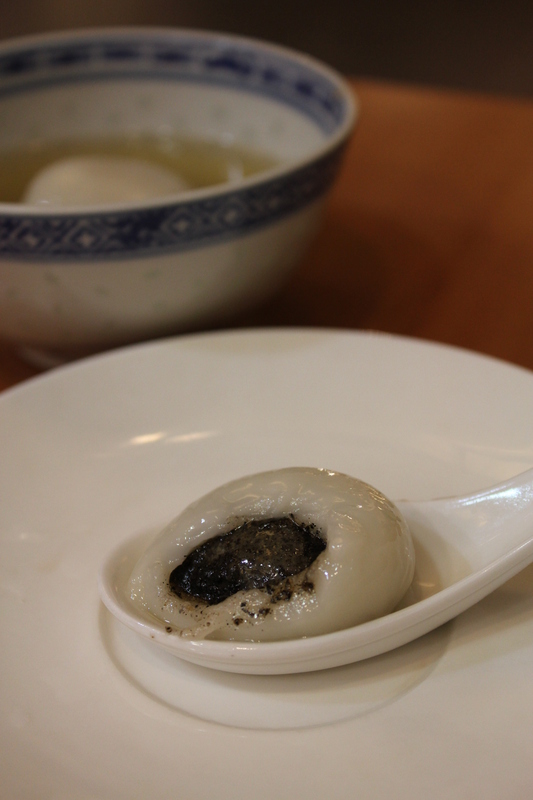 (one of the) BEST TANG YUAN IN SINGAPORE EVER . While the skin was thick, it was tender not hard making it lovely to bite. Owing to it’s large size, the amount of ingredients was clearly not compromised on either. If you are a peanut lover, this may not appeal to you as the peanut: white sesame ratio was about 1:1 with the balance tending towards white sesame. But i am a little sensitive to peanuts ( I get a horrid cough if I consume too much) so this was a hit for me.